For business and personal communication, the email is the most preferred means of communication. This is further made necessary and important from the ease with which the email allows sending of documents, organized communication as well as archiving of messages. However, since communication does not happen in real time, it is always rewarding to establish if the contact on the other end receives and reads the message and this requires an Email tracking software. HubSpot is an Email tracking software that enables the users to take control over their emails. Especially for the people in marketing, it is a great idea to verify the number that your campaign gets to. 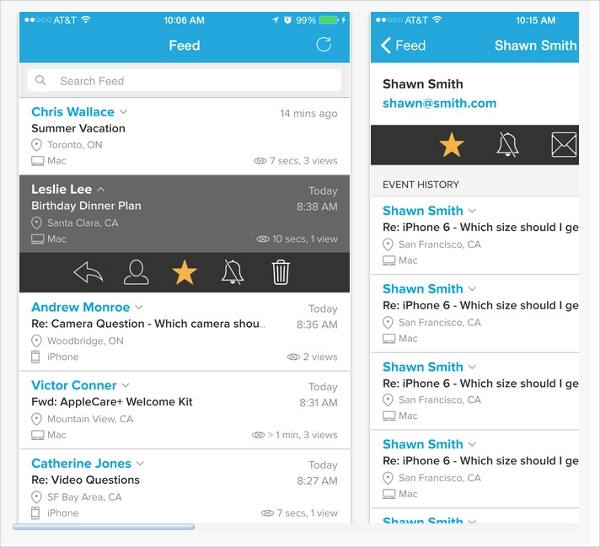 With this, you track when it is opened when links are opened as well as attachments. 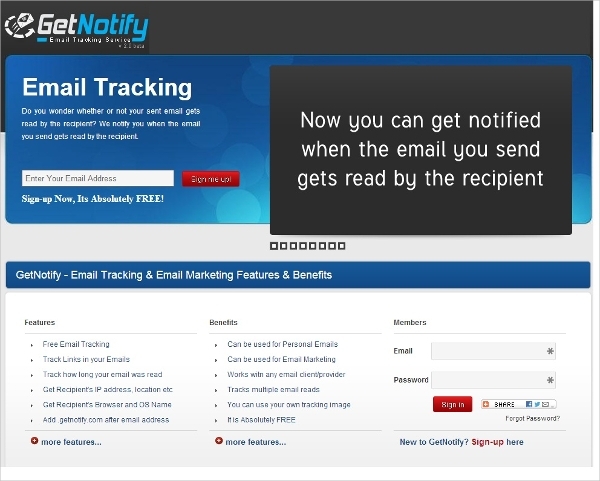 Get Notify-Email Tracking is a simple to use application for email tracking. With this, all that you will be required to do just send the email in the normal way that you would do but adding .getnotify.com and the instant the recipient opens the email you get notified. Email Tracker is a free and we based email tracking software that offers a great deal of convenience to the users. With this software, you are able to know the when emails are opened and when clicked, time and country, as well as the application, used to access. Though the majority of the Email Tracking Software are web based and thus work across all the platforms only depending on the browsers, not all are in this form. As a result, the consideration of the platform that the users is on becomes important to get the best software. MSGTAG is a lightweight email tracking software that is dedicated to the Windows platform and is one of the oldest tracking software. The software is available in two versions the MSGTAG Free and MSGTAG Status with the latter being premium and with additional features. MailTracker is an email tracking software for the Mac platform that eliminates guesswork and enables you to know who and when the email gets read. The software is free, and you have an unlimited number of email to track as well as know the location and device used to open the mail. 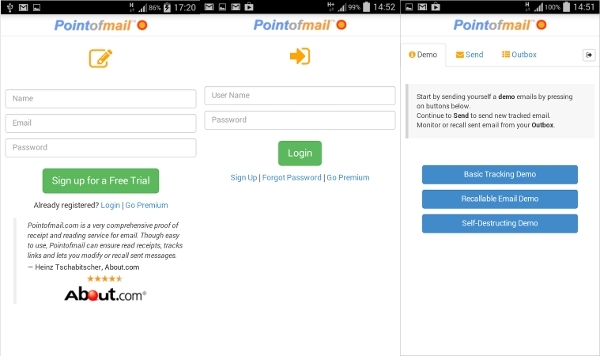 Pointofmail Email Tracking is a brilliant App that allows the user to take charge of the emails that they send. 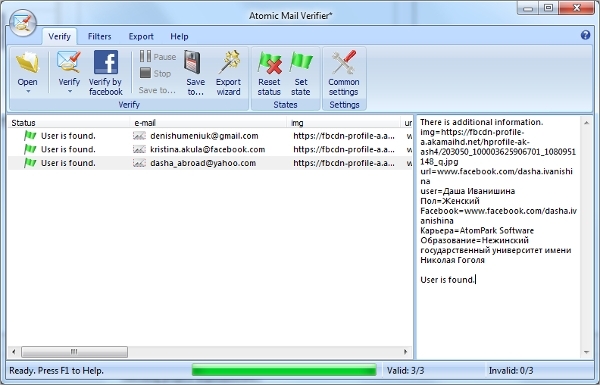 With this application, the user has the ability to access information such as when the email is opened as well as the duration that the user took to read it. 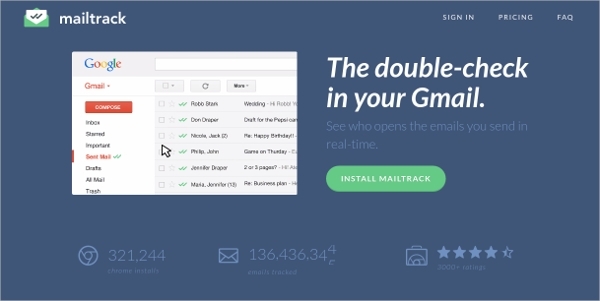 What is Email Tracking Software? This could be the duration taken to read the email, country the email is accessed from, whether or not links embedded in the emails are opened and if attachments are downloaded.Email Tracking Software offers effective communication to users across all levels. With these software, there is no more guesswork, and thus it is easy to follow up with confidence. From this collection, I’m sure you will be able to get the best software for the job.